I’ve had a Sell recommendation on Woolworths for some time. In fact, three years back I advised that “Woolies has its hands full with its empire building and the best growth – at least in the share price – is behind it for now”. My view is unchanged. The post Ramaphosa share price boost to around R65 was nothing more than an opportunity to get money off the table. Since the 20-week trading update things haven’t got any better, as the latest trading update for the 26 weeks to 24 December 2017 attests. In addition to lacklustre trading in both South Africa and Australia the company is preparing to take a potentially expensive write-down of its David Jones asset in Australia, which has disappointed. There is little motivation for new money in Woolies and in South African grocery retail, Pick n Pay and Shoprite are the better bet for now. I’ve had a Sell recommendation on Woolworths for some time. That is unchanged. The post Ramaphosa share price boost to around R65 was nothing more than an opportunity to get money off the table. My most recent comment was dated 16 November with respect to the 20-week trading update. Things haven’t got any better for the final six weeks of the interim period. The company today released a trading update for the 26 weeks to 24 December 2017 and warned too that earnings would decline for the six months. Total sales for the 26 weeks to 24 December 2017 are up 2,6%, the same percentage as for the 20 weeks to 12 November. Further analysis on the two geographies and earnings follows. Clothing and General Merchandise sales down 0,2% which compares with an increase of 0,7% for the 20 weeks. Price inflation slowed to 0,7% from 0,9%, so another real decline. Like-for-like down 3,4% versus down 2,4% for the 20 weeks. Retail space up 3,6% versus 4,2%. Operating profit margin will have been under continued pressure. In 2017, margin fell by 1,2%. Food sales up 9,4% versus 9,3% for the 20 weeks. Price inflation was 4,4% versus 4,5%, continuing to ease. Like-for-like up 5,3% versus 5,3% for the 20 weeks. Retail space up 6,8% versus 8,2% so sales are not growing in real terms. Woolies claim “market-leading” growth in food sales, which is a stretch and in any event at the cost of margin and real growth. Checkers, excluding Shoprite, is growing at over 10%. It is inevitable that there has been further margin pressure in food, not least given the competitive landscape. Woolies is now having to price more tactically on certain items. 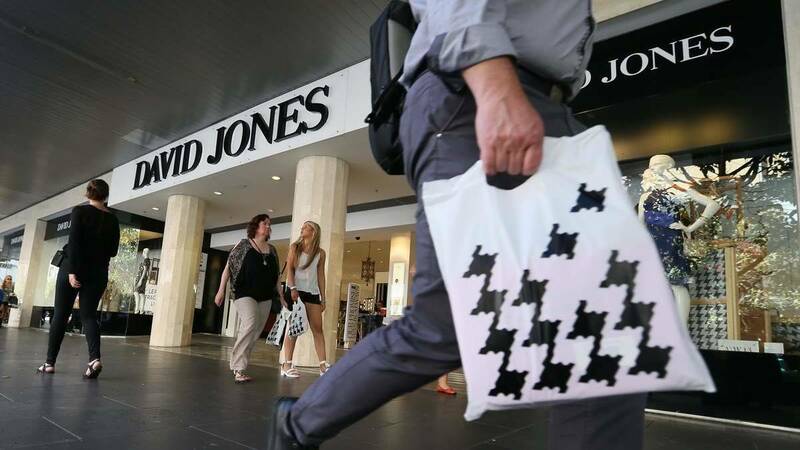 David Jones sales down by 3,8% versus a decline of 5,3% and like-for-like down 3,3% versus a decline of 5,2%. Retail space down 2,2%, the same as for the 20 weeks. Operating profit in 2017 was down 25% in AUD with margin down 0,9% so expect another lacklustre result for the first half. 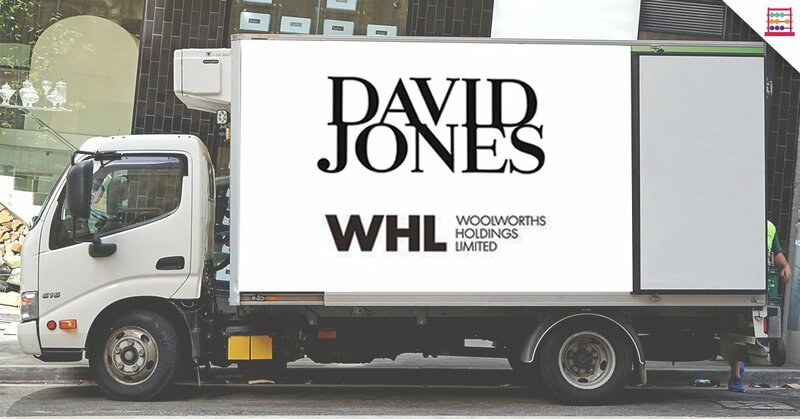 I note that they are assessing the carrying value of David Jones, so expect that to be written down. Woolies paid AUD2,2 billion for it in cash. 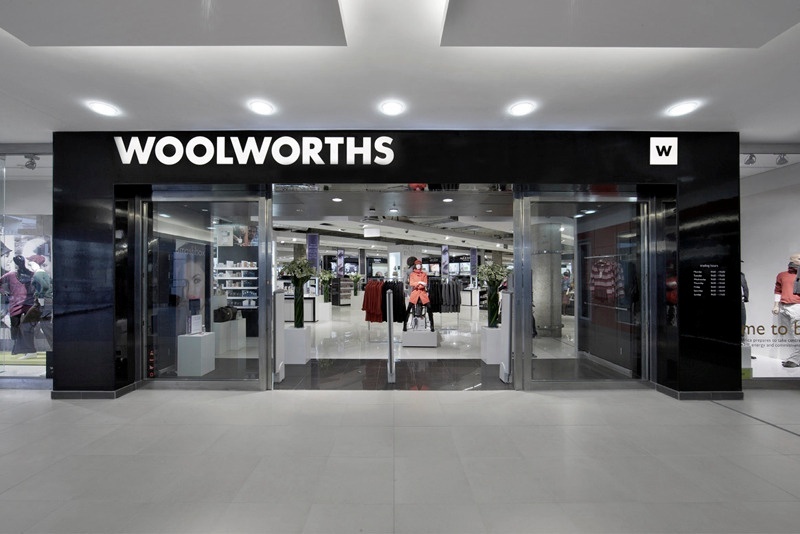 The Woolies balance sheet has close to R20 billion in intangibles, 44% of total assets and more than their total shareholder equity of R19 billion. Intangibles has grown from R3 billion to R20 billion since 2014. Country Road sales up 5,2% versus 8,3% for the 20 weeks. Like-for-like down 1,0% versus a decline of 0,4% for the 20 weeks. Retail space reduced by 3,8% versus a 2,0% decline. Margin in 2017 slipped by 0,4% and I expect further pressure. Unsurprisingly, earnings are flagged to be down. Adjusted HEPS was 246,2 cents in H1 F2017 rather than the 242,6 cents in the trading statement but either way we are looking at a 15% decline to say 209 cents for the first half. Even if second half EPS is flat, full year EPS will be down by 9%. I have 10% down but that may be too optimistic as it now implies a 3% second half decline. 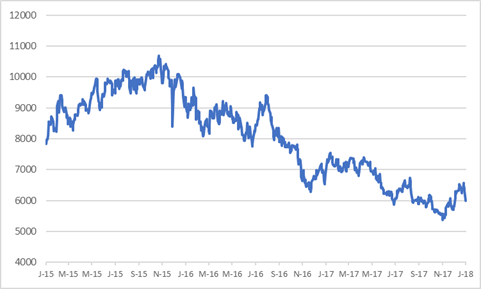 Whilst Woolies maintained the dividend last year, despite an 8% decline in earnings, I can’t see how they can do that again as it is a further deviation from the dividend policy of 1,45x cover. If they had to keep that cover, the annual dividend would be down 17% to 260 cents on my EPS estimate of 378 cents. The stock has fallen this morning, currently 5991 cents, but on that price the forward PE is 15,8x, on my relatively optimistic EPS number. The yield, assuming a 17% drop in the dividend, is 4,3% gross. Given the pressures management faces on two geographic fronts it is implausible to see an earnings recovery. In SA grocery, I hold to the view that Pick n Pay has the most ground to make up in earnings, with real growth on the bottom line because of efficiencies but not top line. Overall, Shoprite will grow both top line and bottom line in double digits, helped by other Africa income. We’ll have more colour when Woolies report on 22 February. My previous notes in 2017 reiterated trading Sell with fair value at R55.